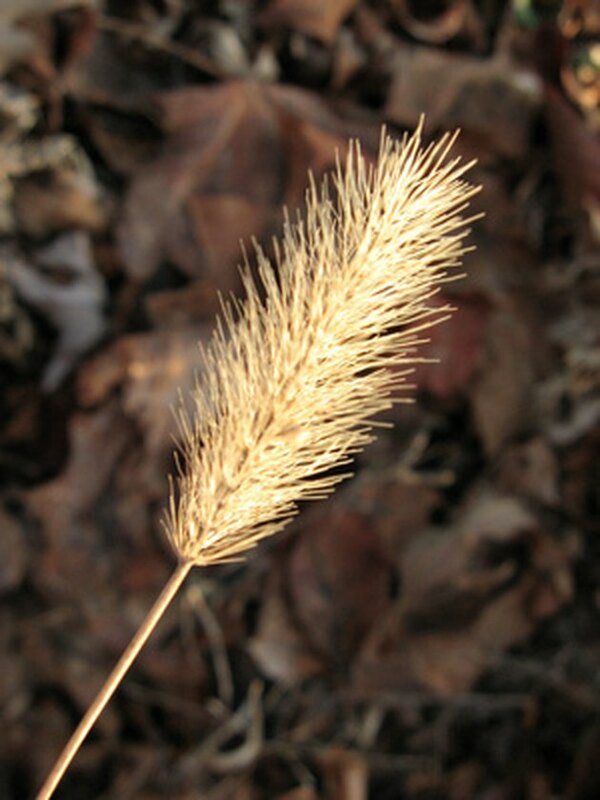 Grains are the fruits of single-seeded grasses like barley, wheat and rye. Although grain-based foods make up a majority of the American diet, many are made from refined grains like white flour, which are low in nutritional value. Breads, cereal and pasta are among the many food products made from grains but you should choose whole-grain types for at least half of your grain servings. 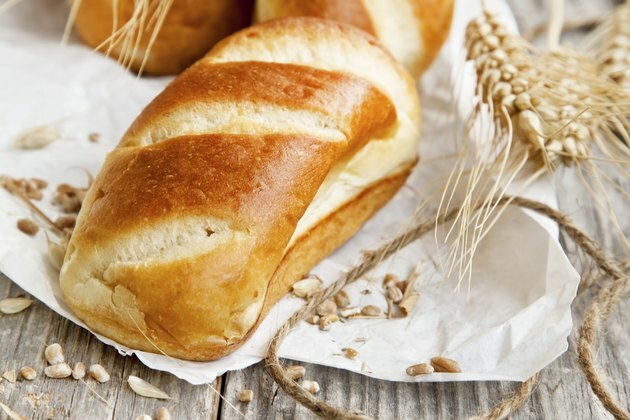 Bread is made from grains like wheat, rye and rice. White bread is made from refined grains, while whole wheat, rye and others contain unrefined grains. Bread and buns made from whole grains are much more nutritious than those made from refined grains. According to the U.S. Department of Agriculture, it may be necessary to check the ingredient list to determine whether bread contains whole grains, as caramel color is sometimes added to white bread to give it the appearance of whole wheat. 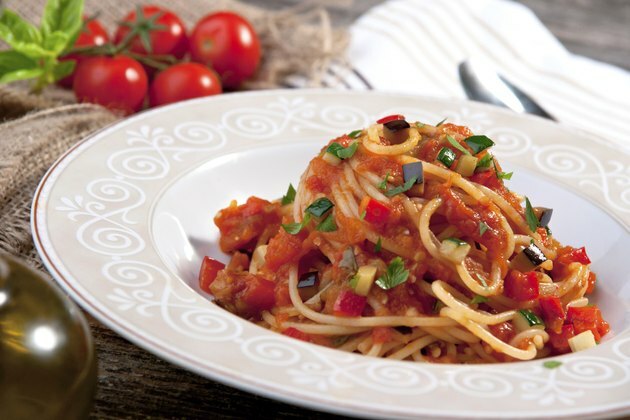 Pastas like spaghetti and macaroni are made from grains such as wheat and barley. According to the National Pasta Association, pasta comes in many different shapes, such as elbow, wheel or shell macaroni, as well as angel hair pasta, egg noodles and linguine. As with bread, it is necessary to read the ingredient list to determine the actual grain content of various pastas. 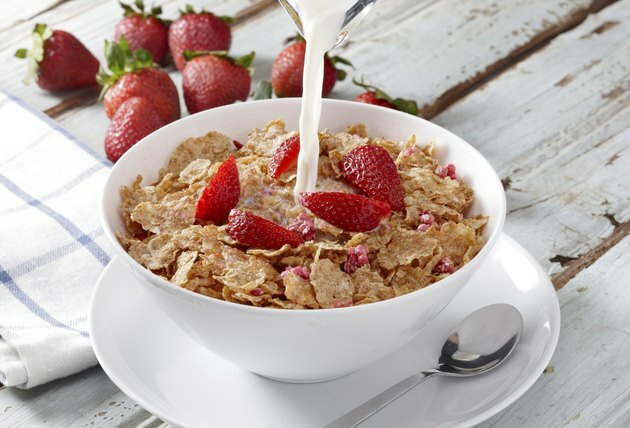 Both hot and cold cereals are made primarily from grains. Wheat is the most common grain in breakfast cereals, although they may also contain corn, rice, barley and other grains. Oatmeal is made from oats, while cold cereals often contain a combination of grains. Although oat bran is not technically a grain, it is often added to cereals for its high fiber content. 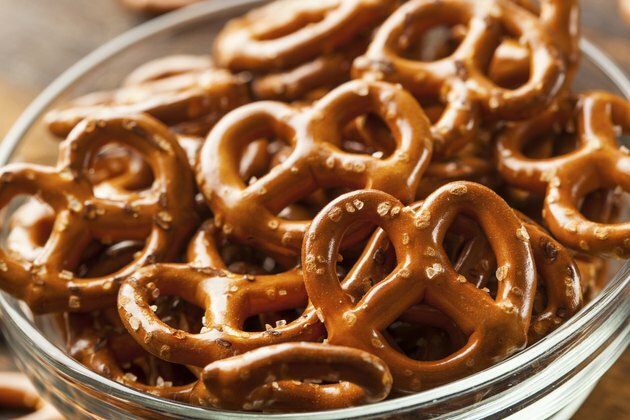 A popular low-fat snack food, pretzels are made from wheat and other grains. Both soft and crunchy pretzels contain wheat, usually in its refined form. Most pretzels are similar in shape, but other variations exist, such as stick, loop and letter shapes. Other grain-based snacks make good, healthy additions to your diet. Examples include popcorn, especially when cooked in hot air without added butter or oil, and snacks such as chips and cheesy snacks that are baked rather than fried. Crackers made from whole and refined flour belong to the grain group. 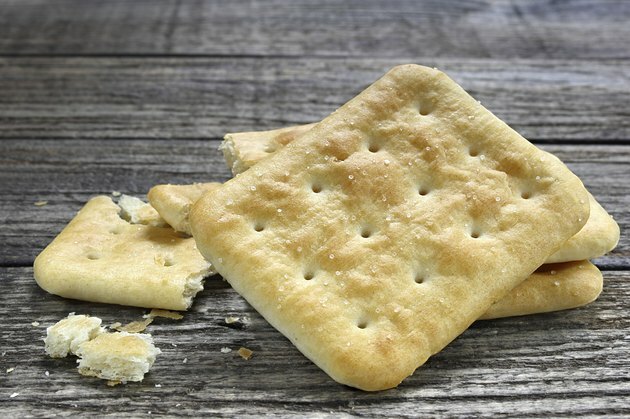 Crackers containing refined grains are usually made from wheat flour, while whole grain crackers may contain wheat, rye or a multi-grain mixture of several different types of grains.